Many women trust home pregnancy tests when they suspect that pregnancy may be an option. These tests can be pretty accurate, but human error and other factors may make it a good idea to still get a pregnancy test from a medical professional. Not only will you be sure, but you’ll also have the added benefit of talking through your options with someone knowledgeable and trustworthy. If you believe you may be pregnant, it probably won’t hurt to take a home pregnancy test. However, without assistance from a medical professional, the result of the test may not be accurate. There are several distinct and very important benefits to taking a medical pregnancy test as opposed to a home pregnancy test. A urine pregnancy test performed at a medical facility is more accurate than a home pregnancy test. When you trust a medical professional, you remove a margin of error. A blood test can be used instead of a urine test when you get a medical pregnancy test which improves accuracy and can help diagnose potential problems, such as an ectopic pregnancy. A medical pregnancy test can detect a pregnancy earlier than a home pregnancy test. With a medical pregnancy test, you’re not alone. You have a trained medical professional delivering your results and talking through all your options. No matter what the results, it can be very helpful for you to be in a safe, comforting environment. 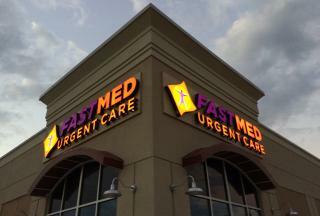 At FastMed Urgent Care, making you feel good is what we’re all about. In addition to providing high quality, cost effective medical care, it’s important that our patients are always treated with courteous attention and concern. If you need a definitive pregnancy test, would like to learn more about your reproductive health options, or have any other non-life-threatening medical concerns, find a FastMed location near you right now. And be sure to connect with us on Facebook.